The Government’s decision to impose a Carbon Tax on directly fossil-fueled vehicles, including petrol cars from January 1, came under the spotlight as it raised concerns in terms of people’s day today life. This taxation may not significantly affect a person receiving a passive or high income. However, a person whose income isn’t great, but still has managed to buy a car with a low engine capacity, would desperately feel it. Therefore, it’s pertinent to see how this tax would be charged in a fair and effective manner. What does a carbon tax mean? In general, a carbon tax is a fee that a government imposes on any company that burns coal, oil or gas. In other words, it is a tax levied on the carbon content of fuels. It is a form of carbon pricing. Carbon is present in every hydrocarbon fuel (coal, petroleum, and natural gas) and converted to carbon dioxide. The World Bank reports that 40 countries and 20 municipalities use either carbon taxes or carbon emissions trading. That covers 13 percent of the annual global greenhouse gas emissions. Department of Motor Traffic (DMT) Commissioner General A.H.K. Jagath Chandrasiri told a news briefing that a Carbon Tax was imposed on directly fossil-fueled vehicles including petrol cars from January 1. However, according to Chandrasiri electric cars are exempted of this tax. He told the media that the carbon tax would be based on the fuel consumption of vehicles. “The tax will be charged under the 2018 Financial Act under three categories – the manufacturing year of the vehicles of less than five years, between five and ten years and more than ten years,” the Commissioner said. “Hybrid vehicles using petrol or diesel and based on their engine capacity with a manufacture date of less than five years would be charged 25 cents for one cubic centimetre, between five and ten years 50 cents and more than ten years one rupee.” he went on. The Commissioner said vehicles using petrol or diesel with a manufacture year of less than five years would be charged 50 cents and between five and ten years one rupee and more than ten years Rs.1.50 or one cubic centimetre according to the engine capacity. He said passenger transport buses with a manufacture year of less than five years would be charged Rs.1,000, those between five and ten years would be charged Rs.2,000 and more than ten years Rs.3,000. Charges would be made through the provincial DMT commissioners when obtaining the revenue license. “Carbon tax charges would not be compulsory for this year, but from the year 2020, the carbon tax will be a must. When obtaining the revenue license in 2020 the charged would be collected along with the charges of 2019,” the Commissioner said. All Provincial Secretaries and District Secretaries have been advised in this regard. Speaking to the Consultant Automobile Engineer Jagath Jayasinghe said the carbon tax that had been imposed by the Government was neither effective nor productive because it had not been imposed on how much of carbon is emitted, but only considering the year of manufacture and the engine CC number of the vehicle. In developed countries where vehicles are manufactured, the first five years of a vehicle is regarded as the performance period while the period between five to ten is considered to be non-productive. He added that the period after ten years is regarded as dead period. He said that people in developed countries give up using those vehicles after five years and added that Sri Lankans could not afford to do so. Generally, if a vehicle has exceeded a term of ten years, it is imposed an unbearable carbon tax ( approximately Rs. 50,000) in order to convince the vehicle user that the vehicle is not sufficiently fit for the usage and it is not environmentally friendly. He said although the amount of the tax imposed here is not unbearable, there is no benefit for the vehicle users or the environment. “What has happened here is that a mere addition of another tax to the vehicle users resulting an income to the government,” he said. “I don’t see any effectiveness and can’t fathom on what grounds that this tax is imposed on,” he added. Referring to the misperception that prevails in society with regard to the difference between Vehicle Emission Test and carbon tax, Jayasinghe said that there was no connection between the Vehicle Emission Test and carbon tax imposed here and added it was vital to see whether there was a special purpose in imposing this carbon tax. 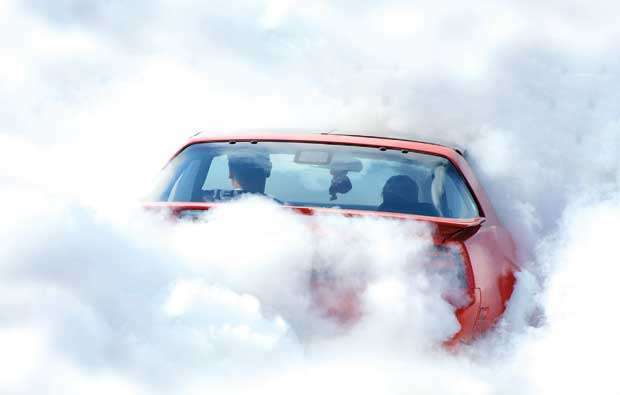 “The Vehicle Emission Test is done to check emission standards and to ascertain whether they are within the defined limits,” he said. “The emission of Carbon Monoxide (CO) and Hydrocarbon (HC) is taken into consideration when carrying out the Vehicle Emission Test. 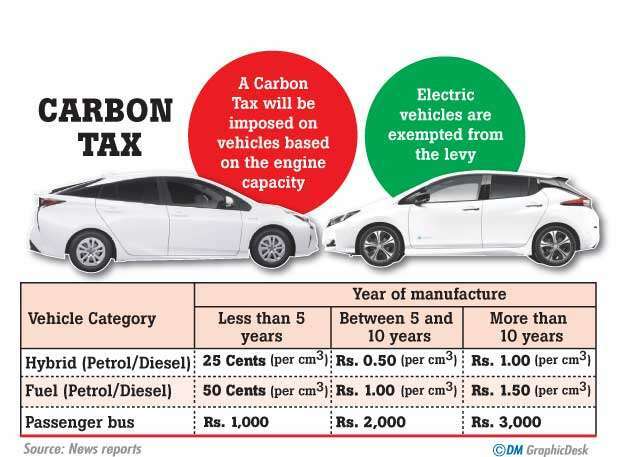 However, the carbon tax is not imposed on emission of carbon of a vehicle. Hence, there is no point in imposing such a tax if it does not fulfill its real purpose,” he added. Speaking to the , State Minister of Transport & Civil Aviation Ashok Abeysinghe said that discussions regarding the imposition of the tax hadn’t concluded. “I was of the opinion that we should take more time to implement it after taking into account every aspect. 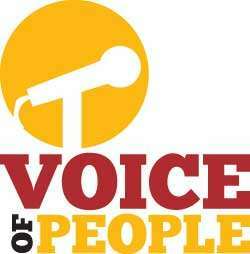 However, since it had been subject to a parliamentary process, I could not intervene,” Abeysinghe said. “Discussions are underway to see how we should impose the tax in an effective manner. I hope to speak to the Minister of Transport and Prime Minister Ranil Wickremesinghe in this regard,” he added. In conclusion, it is fitting to note that this tax would become a requisite to control the carbon emission to the environment. However, it is noteworthy that imposing a tax does not find solution to the damage caused by carbon emission. Romesha Ayanathi from Negombo said that she could not understand as to why such a tax is imposed if it does not measure the carbon emission of a vehicle. “It seems that this tax has been imposed for the sake of imposing a tax. The authorities have not clearly explained as to why this tax is imposed,” she said. Ushen Chamod from Ragama said it was an imprudent decision by the Government. “This is another tax imposed on the people to generate an income for the people in power. We never know as to where money accumulated by this tax goes. Therefore, it is a useless tax imposition on poor people,” he said. Chrishen Anderson from Kochchikade was of the opinion that it was a good move by the Government, but still the authoritoes should ponder on whether this could be developed further. Stephan Fernandopulle from Welihena said it was good that the Government imposed a tax on emission of carbon as the latter is harmful to the environment. However, he added that the police should be involved in this process to assess how much of carbon is emitted from vehicles and take legal actions against those vehicles users whose vehicles pollute the environment most.